During an interview with the Associated Press this week, House Speaker Nancy Pelosi accused President Trump of being un-American and un-Patriotic. Not surprisingly, she provided no evidence to back up her accusations. "This President has engaged in activities that are unethical, un-American in terms of taking babies out of the arms of their moms, un-patriotic. I mean, in every way he is unfit to be President of the United States," Pelosi said. "Is that an impeachable offense? Well, it depends on what we see in the [Mueller] report." "The reason that the Attorney General and others are saying he hasn't been indicted is because they don't believe a President shouldn't be indicted and the constitution provides another route and that would be impeachment," she continued. "My view is that impeachment is very divisive in the country and when we see what we need to see, it may be imperative that he be impeached." 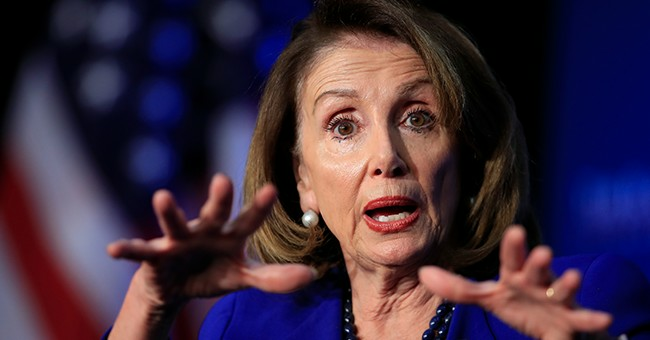 Despite what Pelosi claims, President Trump wasn't indicted because he didn't commit a crime, not simply because Mueller, Barr or other attorneys at the Justice Department believe a sitting president cannot be indicted. Pelosi also said she doesn't trust Attorney General Bill Barr, but does respect Special Counsel Robert Mueller and looks forward to seeing his report.